Completed in 1990 by Boelwerf, Belgium. Commissioned in 1986 by BT Marine, but work was stopped for a time after the downturn in oil prices. Restarted and completed in 1990. 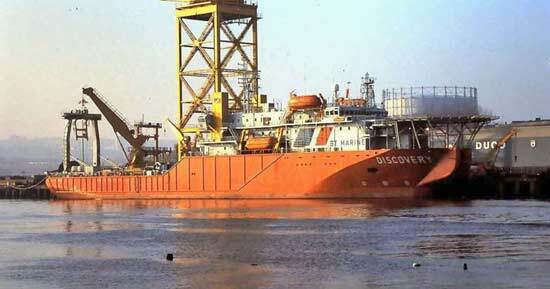 Used as a dive support, cable/pipelaying vessel mainly for the offshore gas and oil industries. 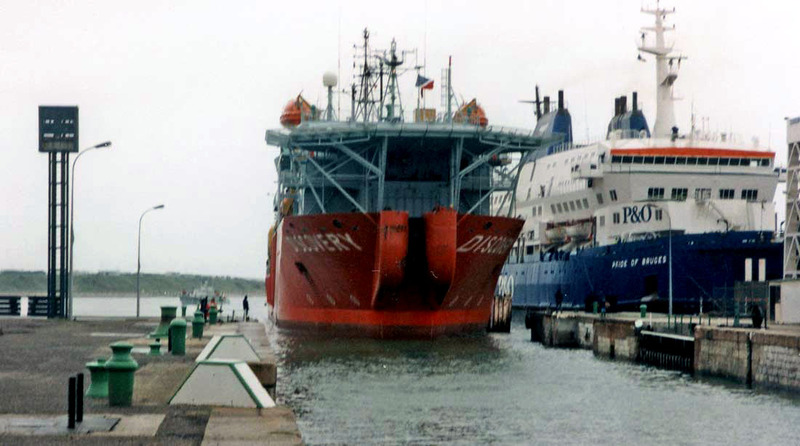 Sailed under the Belgian flag until 2002 with Ahlers Shipping providing the crew, then under the Luxembourg flag until 2004 with Ahlers Shipping again providing the crew until 2004. Continued to sail under the Luxembourg flag until 2010, then registered in the Isle of Man. 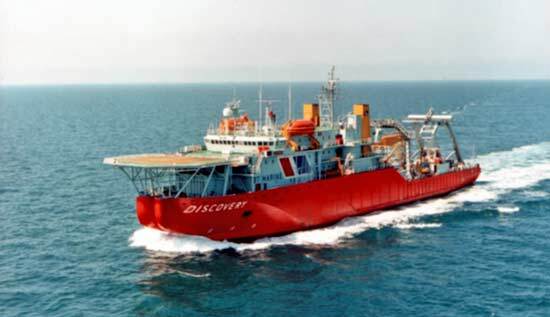 Renamed Acergy Discovery in 2006. Additional information on this vessel was provided by Rik Verhaegen, former Master of MV Discovery. Captain Verhaegen also provided the photographs of Discovery shown below.